How memorable is your elevator pitch? 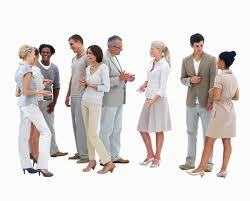 What is your response when someone strolls up at a networking function and asks the obligatory ‘What do you do?’. The expectation is that you deliver your elevator pitch. So let’s take an honest look at yours. How does yours stand out? Is it a Toyota leap or an apologetic shrug? Wikipedia gives us one definition of an elevator pitch: a short summary used to quickly and simply define a profession, product, service, organization, or event and its value proposition. Does your elevator pitch do any, all or none of those things? 1 I am an architect. Simple? Yes. Short? Yes. Does this define the value proposition? No. The same impact will be achieved by inserting any other profession/job/activity that you do for a living. For example, the term pig farmer could be easily inserted, lion tamer or even chicken sexer; none of which gives your questioner any clue as to what your value proposition might be. 2 I help women look better. ‘Worse’ could just as easily be substituted. The questioner is none the wiser. A final example for you to consider. 3 I am just a photographer. What is in those words that summarise what makes this photographer different from every other photographer in the room? Do any of these resemble your usual elevator pitch? Read on – please. Your elevator pitch – is it just ordinary? What would advertising look and sound like if companies undersold themselves and their products in the same way we do as small business owners, new authors and networking newbies? I had an interesting conversation with my 16 year old daughter recently about this idea. Would you remember Toyota – oh what a feeling if it was delivered with an apologetic shrug and a slogan like – oh it’s just a car? What about the tag line for the small goods company? Is Don. Is Good It just wouldn’t have the same impact if it was delivered as Is Don. Is adequate. Would it? So what makes an elevator pitch more memorable? It doesn’t have to be complicated or a major production but it does require thought, preparation, rehearsal and refinement (once you have delivered it a few times). who is my audience? One or many? what is my message? A hint – it should NEVER be – buy from me today! what role am I playing here? Front person for a new business? Expert launching a new product? New author of a book? why am I in business? To make money is not the phrase to get someone interested in what you do. what do I do differently to everyone else? This is important when you think about it. These questions are related to crafting your elevator pitch, authentic for you and relevant as an introduction for you, your business/book/product. It is important that you deliver your pitch with precision, confidence and respect for your question-asker/audience, with ready responses to further questions you want them to ask. If your pitch consists of mumbling a few tired phrases or worse, displaying your fear of speaking in public, what impression are you leaving with the person in front of you? They are unlikely to build any further relationship with you. Unless, of course, they were looking for a chicken-sexer at that function and you were the only one attending. Building your elevator pitch is just one aspect of mastering the skill of public speaking. It is an important starting point and the value of developing and polishing your elevator pitch can be measured in a number of ways. The first and foremost is seeing yourself as the beacon for your business/book/product/event who delivers the right message and invites further interest. I avidly read you promotion. You are good … But I already knew that.